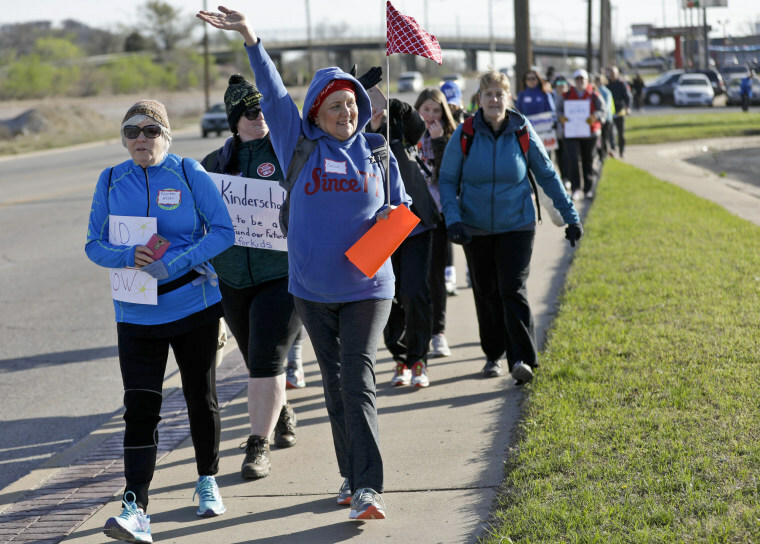 "If your teachers are willing to walk 110 miles for their students, what is the Oklahoma legislature willing to do for the students of Oklahoma?" "It’s crazy to think that all of these people have our backs but a certain 150 don’t down in the Capitol." "It’s crazy to think that all of these people have our backs but a certain 150 don’t down in the Capitol," she added. "Who are your constituents and who are you listening to?"